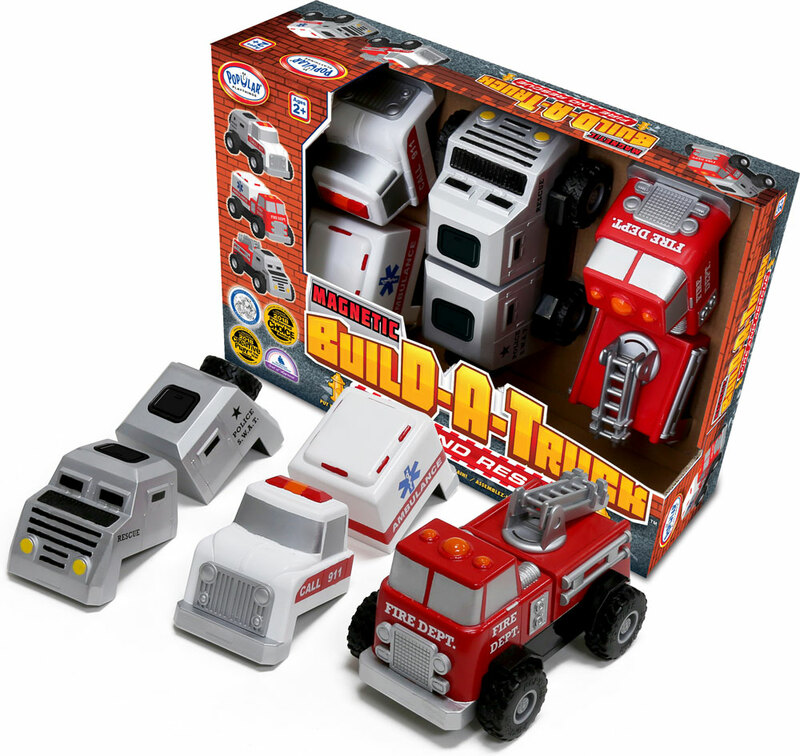 Little builders will love snapping together big, chunky truck parts with magnets inside. 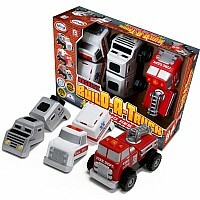 Parts to a dump truck, cement mixer, front loader and backhoe can be mixed and matched to create exciting "hybrid" machines! Real rubber tires, too. 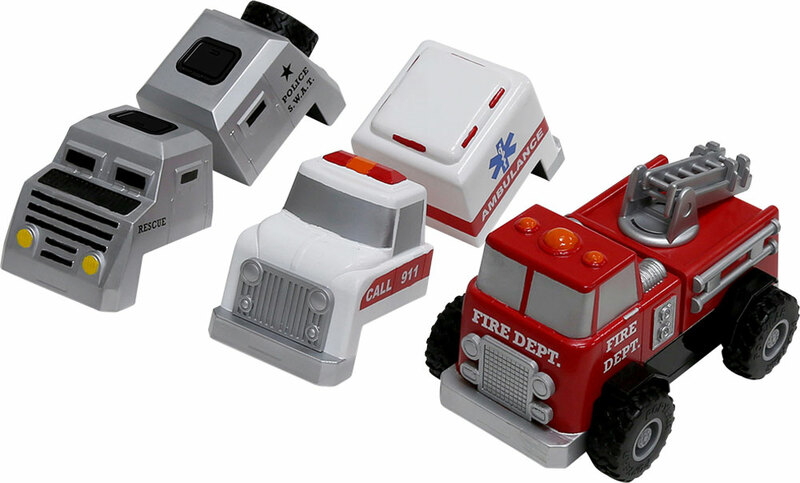 For ages 2-5 yrs, from Popular Playthings.